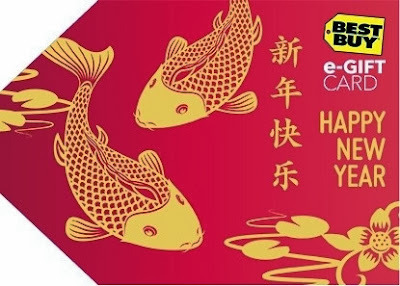 I love that Best Buy supports events they believe are of importance to their employees, customers and communities, and the upcoming Lunar New Year is one of those important celebrations. A former Vietnamese co-worker would share about her traditions and she would always bring in 'bánh phục linh' - a popular cookie during the Vietnamese New Year. And I learned of the Chinese Red Envelopes, (known as Hong Bao) from a favorite shop and absolutely fell in love with the idea and the tradition. The red color of the envelope symbolizes good luck and is said to ward off evil spirits, the amount of money in these envelopes will end in an even digit, according to Chinese belief odd-numbered money gifts are traditionally associated with funerals. There is also a tradition that money should not be given in fours nor should the number four appear in the amount as the pronunciation of the word 'four' resembles that of the word for 'death' which would be thought to bring bad luck. One year when I worked in the Banking Industry one of the Banking Analysts who had come back from a trip to China brought the team back these envelopes and I still have mine! I find it interesting that in Japan the envelope is actually customarily white and NOT red. There is also a great chance to win Daily Gift Card Prizes up to $10,000 in the Give it to Win It promotion, but hurry it ends SOON! As my zodiac sign is 'Aries' in Western Astrology, red is the color associated with my sign so I tend to gravitate to all things red automatically anyway. A very dear penpal started me on the tradition of sending New Year's Cards and wishes, as she is Jewish and doesn't celebrate Christmas she asked many years ago if we could exchange New Year's wishes instead of Christmas Cards, and I loved the idea and expanded it to additional friends and family and many clients who have always appreciated the gesture. This year the upcoming Lunar New Year occurs during January 31st 2014 of our Gregorian Calendar and I can't think of any better way to honor friends who observe the 'lucky money' custom than with this E-Gift Card! I may even make this image my screensaver during the month of January for a bit of extra luck! What is YOUR New Year Tradition Butterfly? Do any of our readers celebrate Lunar New Year? If so, tag us on a picture of your 'lucky money' envelope this year, we would LOVE to see it! FTC Disclosure: I am a Best Buy Brand Ambassador. This allows me to share information, sales, product reviews and deals on a regular basis! This is a compensated campaign brought to you by Best Buy for editorial consideration. All opinions are 100% my own. I am disclosing this in accordance with the Federal Trade Commission 16 CFR, Part 255 - Guides Concerning the use of endorsements and testimonials in advertising, you may visit our full giveaway and disclosure page for complete policy information.